We have available 1, 2 and 3 bedroom fully furnished vacation rentals with full sized kitchens all just steps from the beach. Sundown Condo is located on Perdido Key Beach between Pensacola and Orange Beach. 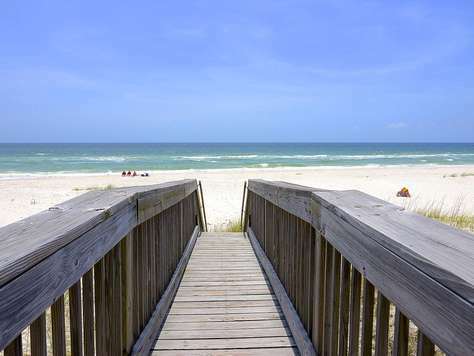 Our private boardwalk provides access to the beautiful white sandy beaches of the Gulf of Mexico that Perdido Key is known for. North side of Sundown Condominium complex offers spectacular views of the Old River that is famous for its abundance of dolphins. We offer 1, 2 and 3 bedroom, fully furnished and full size kitchens vacation rentals with additional amenities available for your enjoyment and relaxation. 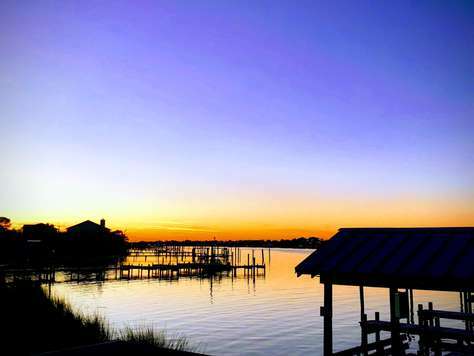 Perdido Key has a lot to offer… excellent restaurants ranging from the very casual to the upscale; shopping, public golf courses, boat rentals and fishing charters. For any questions about our vacation rental units, their pricing and reservations call (850) 492-1816. For any additional inquiries please fill out our contact form. Sundown Condominiums offers a truly unique experience. We have 1, 2 and 3 bedroom, fully furnished, vacation and short-term rentals available for your enjoyment and relaxation. We are a small complex located on a narrow strip of snow white beaches and crystal blue waters. 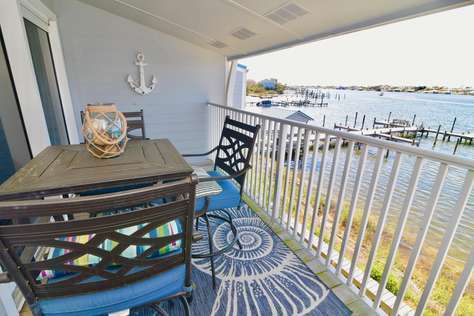 We are waterfront to the Ole River with the Beach only across the street and a private boardwalk. We offer boat slips and a storage yard for your boat trailer. Children and adults enjoy fishing and throwing crab traps out by the docks. Bring your tennis racquets and basketball and enjoy our courts and then enjoy a swim in the largest pool on the island. We have several charcoal grills placed around the property.